Learn how to recover deleted notifications on your Android phone: As we all know, Android’s notification shutter is awesome, as it gives a simple overview of everything arrived just now on your Smartphone. So today we are going to share the best method to get back your accidentally swiped notifications from your Android smartphone. Go through the post, to know about it. Today billions of users are using Android devices, as it is the only platform that offers lots of features for their users. In Android when you get any notification it gets listed on the notification panel, and when we clear it, it permanently goes. However, sometimes we remove some of the relevant notifications that we might not want to delete. 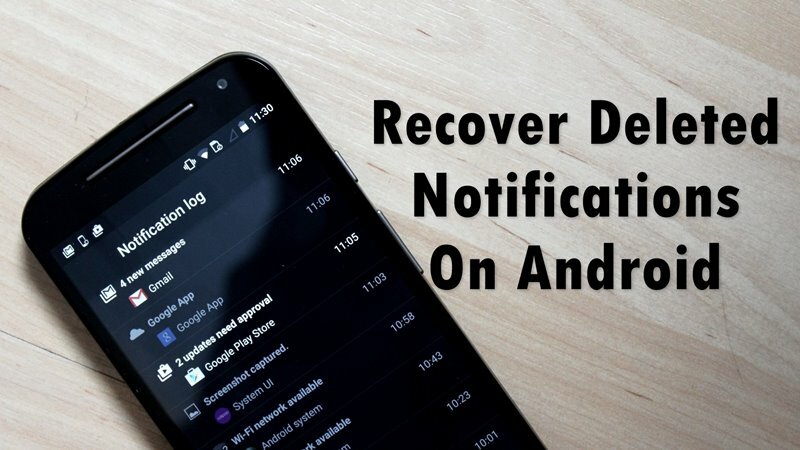 Therefore, we are here with the trick for How to Recover Deleted Notifications on your Android Phone. Yes, it is possible, you can recover notifications in your Android device by just following some of the simple steps that we have discussed in below method. 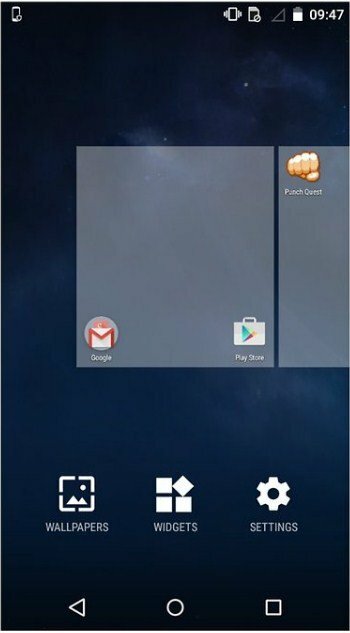 The method is very simple and straight and it doesn’t require any tool or app, you just need simple settings shortcut that you will fix in your home screen which in turn will display all the previous notifications of the day. Just follow the below steps to proceed. Notification log is not available on every Android version it is only available on Android 4.3 Jellybean or above. 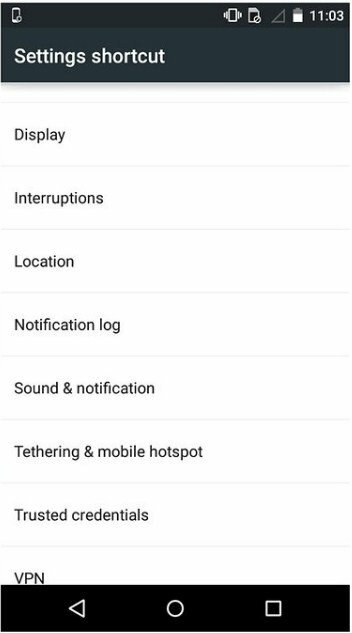 So, some of the users might not find Notification log in settings. With this app, you can always see the history of notifications when you want. You can see which app had generated the notification and when it had been generated. Thus, you can easily recognize your past activities. Step 1. 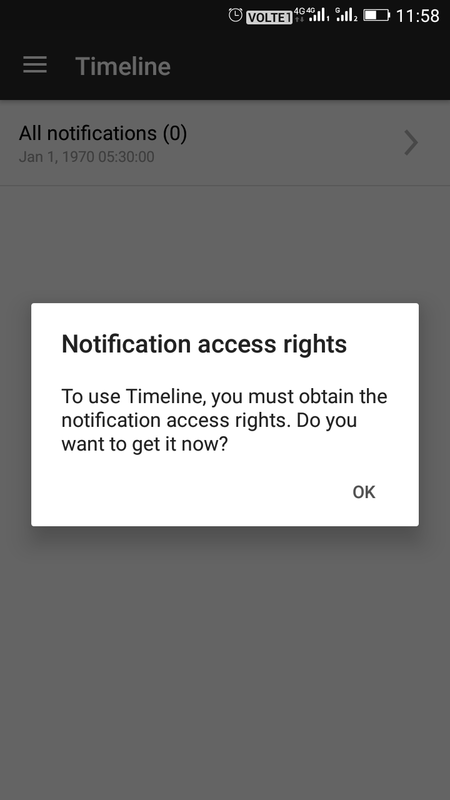 You need to download and install Timeline-Notification history on your Android device. Step 4. Now open the recording option from the app and then enable the first two options. Step 5. Now each and every notification you will receive on your device will be shown on timeline app. 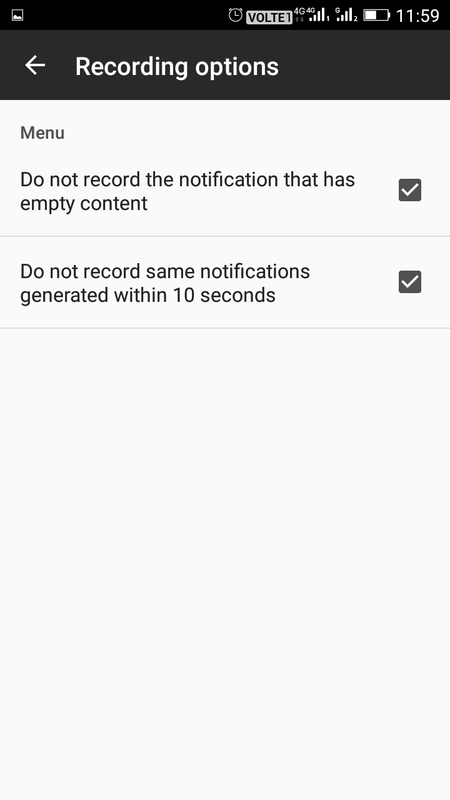 It is the easiest way to record notification, this will help you to read all the notification that you have missed. 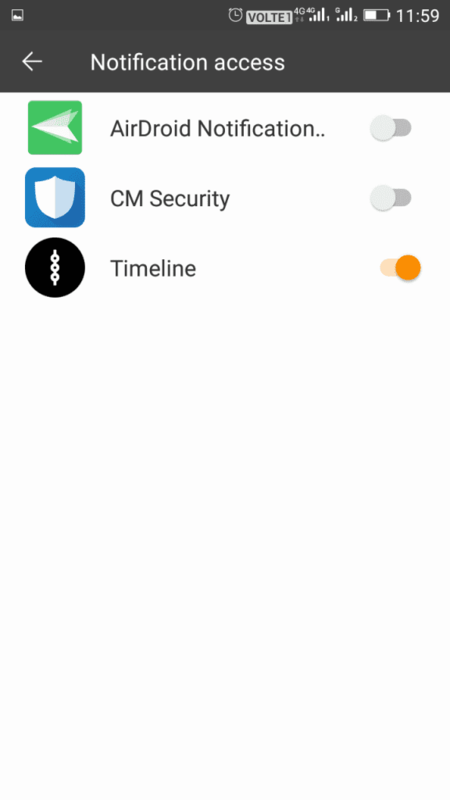 Have you ever missed an important notification shown in your device status bar? No worries! Recent Notification can safely store them for you. Relax and read them when you find time. Step 1. 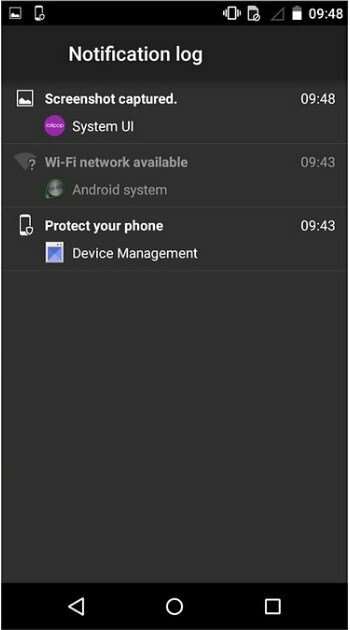 First of all, download and install Recent Notification on your Android smartphone. Step 2. Now you will see the screen like below. 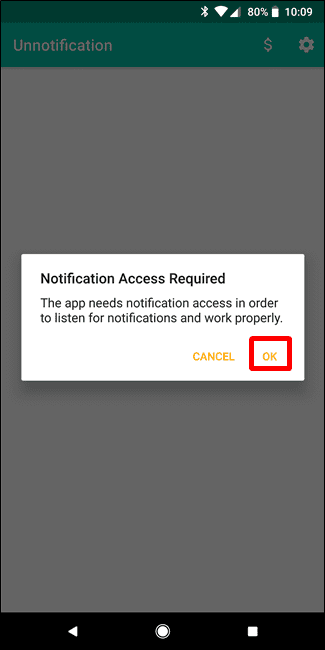 Here you need to enable the Notification access. Simply, tap on Enable now to continue. Step 3. Now you will see the screen like below. Here you need to tap on the Setting button which is located on the top right side corner. Step 4. Now you can alter any settings as per your wish. 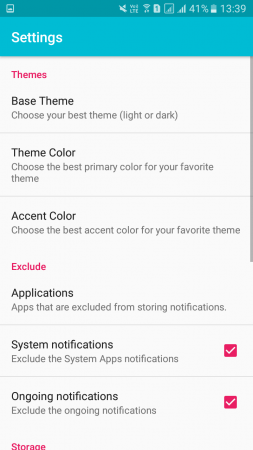 You can change the base theme, theme color and can even include & exclude apps. That’s it! You are done. Now, whenever your phone receives any notifications it will be saved on the Recent Notification app. 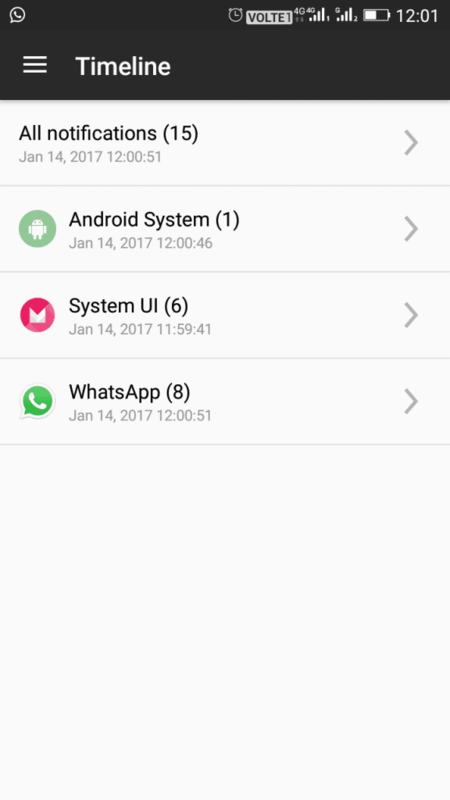 Notification History is an Android app that records all the notifications of SMS, popped dialog, app installation and much more. 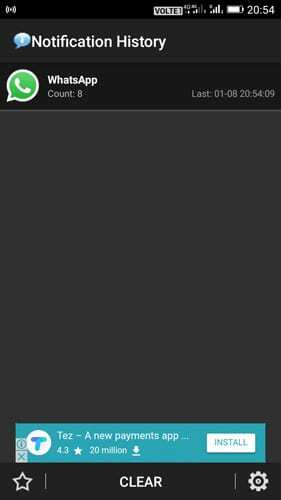 This is one of the handy Android apps which you can use to read the deleted notifications. Step 2. Launch the app, and you will see the screen like below. 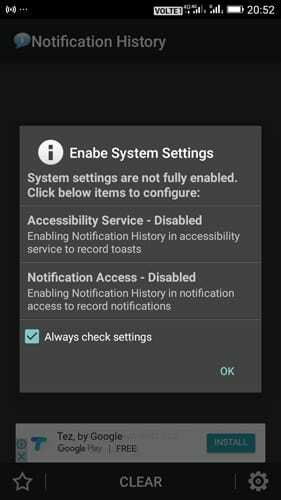 Here you need to enable the Accessibility Service and Notification Access. Step 3. Now open the settings panel of the app and set everything as per your wish. Step 4. Now move back to the main screen of the app and you will see all your notification history over there. That’s it, you are done! This is how you can use Notification history to recover/read deleted notifications. 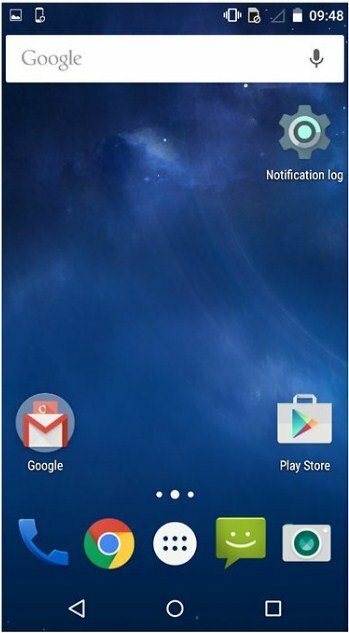 Well, Unnotification is an Android app that works only with Android 8.0 Oreo operating system. So, if your devices are running Android Oreo, you can use the app to bring back deleted notification. 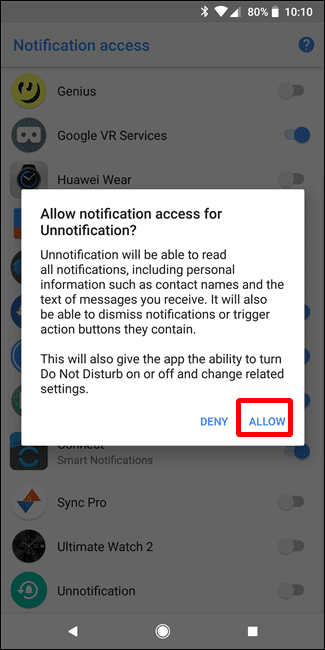 Here’s how you can use Unnotification to bring back deleted notification. Step 1. First of all, download & install Unnotification on your Android smartphone. You can get the download link from here. Step 2. Now launch the app and grant the Notification access. Step 3. 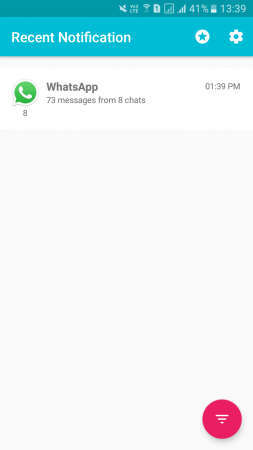 Now you will get a confirmation messages for allowing notification access. Simply, tap on ‘Allow’ to continue. Step 4. Once done, you will no see an Unnotification icon in the status bar. Now, whenever you will get a new notification, the app will ask you whether to undo that dismissal or not. Step 5. The app will automatically get rid of the notification after 5 seconds. But, you can still access your notification by going through the app. Step 6. Another interesting thing about Unnotification is that it allows users to blacklist apps that you don’t want unnotification to work with. 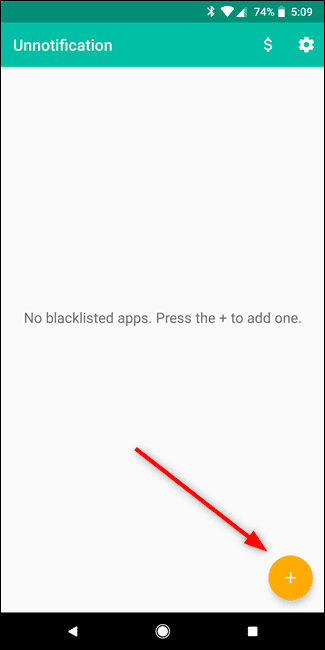 However, if you blacklist any app, Unnotification will not save any further notification from the blocked app. That’s it, you are done! 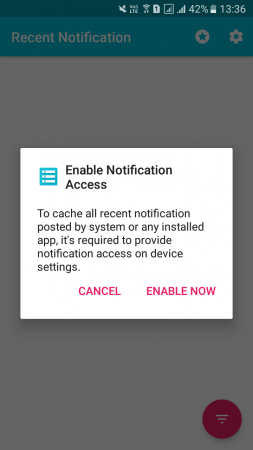 This is how you can use Unnotification to recover deleted Notifications on your Android. So above is all about How to Recover Deleted Notifications on your Android Phone. 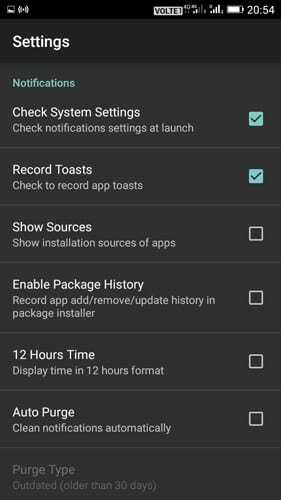 By this method, you can now recheck any important notification that you have already cleared on your Android device. Hope you liked the article. Don’t forget to share it with your friends and leave a comment below if you need help at any step.